Fear is one of the strongest motivators. It can push us into wrong actions or freeze us into inaction. How can we keep God’s instruction to “fear not”? Fear grabs our attention. It gets us ready to fight—or flee. Whether we mask our fear with macho bravado or slink away to seek refuge, it can have a powerful effect on our thinking, decisions and actions. A healthy fear can keep us from harm. But too often fear keeps us from doing what we want—or need—to do. Sometimes it provokes us into wrong or dangerous responses. Biblically speaking, fear can contribute to obeying—or disobeying—God’s law. 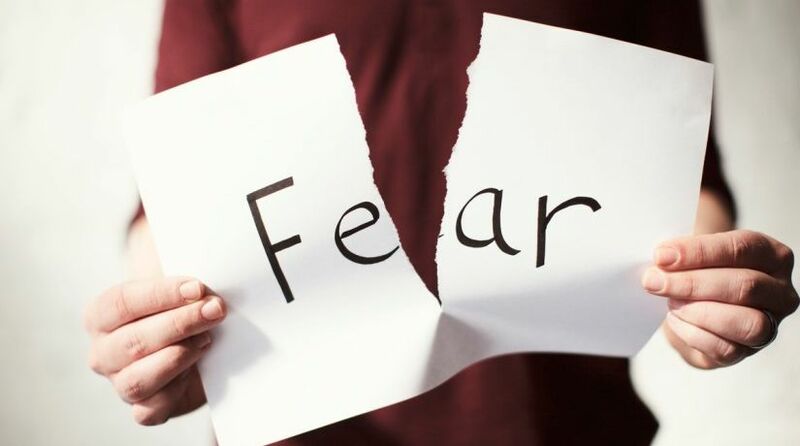 Why does fear seem so pervasive in society today, and what can we do to control it? Increasing troubles in the world and our neighborhoods can make us feel like we are living in a fear zone. Politicians and hucksters of every stripe play on our fears for their own benefit, but that doesn’t mean the underlying dangers are not real. Terrorism, mass shootings, spreading warfare, violent crime, disease epidemics, natural disasters, deadly animals—all of these are in the news and too often in our entertainment and our nightmares. Some high-profile dangers we tend to overplay (like fear of sharks, flying and mass shootings), while other much more common killers we tend to downplay (like auto accidents and germs). Many of the things we fear never happen to us, and even when they do, all our anxieties and worries generally have done nothing to protect us. The Bible does not minimize many of the things we fear. In fact, it shows that the world will become more dangerous and frightening as the end times approach. But it also shows how we can deal with our fears—both the good and the bad. The Bible does promote an exceptional fear—a reasonable fear that actually allows us to eradicate all the deceptive and destructive fears. This healthy awe and respect for our Creator puts us on the path to spiritual knowledge and wisdom (Proverbs 1:7; Psalm 111:10). But many other fears do not have good results. Our temperament and experiences can contribute to the unique set of phobias and fearful feelings we have. Traumatic events early in life can etch pathways of fear into our brains. Feelings of insecurity can intensify natural human tendencies, like the common fear of public speaking. But what about the rational fears—the real troubles facing our world that we often have little control over? Do we have to just live in a constant state of anxiety, punctuated by flashes of sheer terror? The Bible instructs God’s people many times to “fear not.” God does not want us to be debilitated by fear. “All your children shall be taught by the LORD, and great shall be the peace of your children. In righteousness you shall be established; you shall be far from oppression, for you shall not fear; and from terror, for it shall not come near you” (Isaiah 54:13-14). “Behold, I am the LORD, the God of all flesh. Is there anything too hard for Me?” (Jeremiah 32:27). “Are not two sparrows sold for a copper coin? And not one of them falls to the ground apart from your Father’s will. But the very hairs of your head are all numbered. Do not fear therefore; you are of more value than many sparrows” (Matthew 10:29-31). “For He Himself has said, ‘I will never leave you nor forsake you.’ So we may boldly say: ‘The LORD is my helper; I will not fear. What can man do to me?’” (Hebrews 13:5-6). As we grow in the faith to believe these promises, we can increase our ability to turn our worries over to God. We can ask God for His strength and peace. David, a man after God’s own heart, faced many frightening situations. After escaping one terrifying incident in the midst of Philistine territory, he wrote, “I sought the LORD, and He heard me, and delivered me from all my fears” (Psalm 34:4). The apostle Paul, no stranger to fears himself (2 Corinthians 7:5), gave this advice and reassurance: “Be anxious for nothing, but in everything by prayer and supplication, with thanksgiving, let your requests be made known to God; and the peace of God, which surpasses all understanding, will guard your hearts and minds through Jesus Christ” (Philippians 4:6-7). God gives His Spirit to those who repent and are baptized (Acts 2:38), and one fruit of His Spirit is peace (Galatians 5:22). Paul also said it is not “a spirit of fear, but of power and of love and of a sound mind” (2 Timothy 1:7). God’s Spirit empowers us to control our thinking and to do the right things for the right reason. Our trust in God is based on His promises and His faithfulness. The Faith Chapter, Hebrews 11, is full of stories of men and women who grew to believe that God would do exactly what He promised. Their trust in the faithful God helped them face their fears and act in faith. It helped them wait patiently and courageously endure terrifying trials. The greatest example is Jesus Christ Himself. “Looking unto Jesus, the author and finisher of our faith, who for the joy that was set before Him endured the cross, despising the shame, and has sat down at the right hand of the throne of God” (Hebrews 12:2). Like the faithful people of old, we should focus beyond this fearful world on the positive future God has in store. We can also meditate on and appreciate the comfort and peace God gives now. We can ask God for more faith (Luke 17:5; Mark 9:24). We should then act on that faith in obedience to God, since “faith without works is dead” (James 2:20). If our focus is on God’s Word and His eternal promises more than the temporary physical circumstances, we will increase our faith and decrease our fear. Like the faithful people of old, we should focus beyond this fearful world on the positive future God has in store. We can also meditate on and appreciate the comfort and peace God gives now. Paul directed our thinking toward the positive: “Finally, brethren, whatever things are true, whatever things are noble, whatever things are just, whatever things are pure, whatever things are lovely, whatever things are of good report, if there is any virtue and if there is anything praiseworthy—meditate on these things” (Philippians 4:8). He also often extolled the importance of gratitude: “Rejoice always, pray without ceasing, in everything give thanks; for this is the will of God in Christ Jesus for you” (1 Thessalonians 5:16-18). On our spiritual journey we must never forget our foundational fear of the Lord—our reverence for Him; our recognition of our dependence on Him. This proper perspective should lead to appreciation and praise—and a deeper love of the God who has given us everything we have and ever will receive. He loved us so much He even gave His own Son! So our relationship with God grows on that foundation. “We love Him because He first loved us,” John wrote (1 John 4:19). What does that love do? If we follow His steps and let Him live in us, we will not need to fear the only thing worth fearing: God’s day of judgment (verse 17; Matthew 10:28; see our article “What Christianity Gets Wrong About Hell”). As a result, fear is conquered. John summed up the ultimate goal this way: “There is no fear in love, but perfect love casts out fear” (1 John 4:18). We can go to God with our fears. We can seek more of His Spirit. We can grow in faith in His ability to defeat anything that threatens us. We can find comfort and security in His loving care. The fear and loathing of this age will be replaced with love and rejoicing forevermore!